“Giant Sparrows was created by Tine, Christa and Rob. Tine and Christa met whilst studying fine art at Central St.Martins where the idea of combining product design with the talents of a community of artists first emerged. High quality art is the order of the day for the Giant Sparrows team who have worked hard to source images from artists both past and present. They've selected an eclectic mix of designs for the Giant Sparrows collections, from old masters such as Kuniyoshi, Van Gogh, Lautrec and Gauguin to exciting contemporary artists. 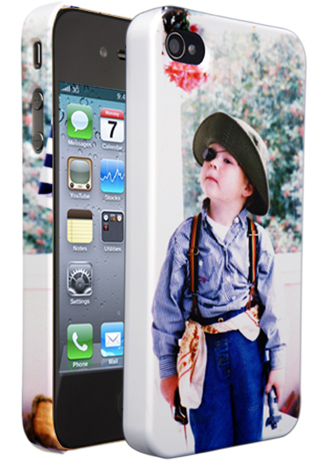 Giant Sparrows is also a place where you can provide your own inspiration and create one-of-a-kind cases with your photographs and imagery. The simple Create Your Own tool lets you easily upload and place images directly onto your case. By making use of the best printing technology available you can rest assured that the quality will be second to none. I am super excited to tell you about an opportunity that I had recently to work with a company called Giant Sparrows. I received a phone cover for my iPhone for review. This is always my favorite kind of review to share – the kind where I got to go through the ordering process just as any other customer so that I can check out all of the features the websites offer, and let you all know about the ordering process, not just the product itself. The ordering process at Giant Sparrows was not only easy; it was FUN! I got to choose a photo and create my own phone cover using the photo that I selected. I played around with it for quite a while, trying out different pictures, and after about an hour of having fun with the options on their site, I made my photo selection and actually started the process of ordering my phone case. Once I had my photo picked out, it literally took less than 5 minutes to complete the entire phone cover creation and check out process. Impressive! Now, to tell you a little about the phone cover. Giant Sparrows offers phone covers for iPhone 3G, 3GS, 4G, 4S, iPod Touch, Blackberry Bold and Blackberry Curve phones. They have cases for iPad 2 and Samsung Galaxy coming soon! I chose a photo of my adorable little boy for my phone case, and it turned out better than I could have ever imagined! The case fits my phone perfectly, and is very durable. The quality of the photo is better than I would have ever imagined it could be for a phone cover. The case has held up to the normal daily abuse that my phone receives very well! And needless to say, my son feels like a little celebrity with his photo on my phone for all to see! If you prefer artwork over photographs, you can design your cover with art instead! How cool is that? I have received So many compliments on this phone cover and I am always glad to tell anyone and everyone who asks where the cover came from. I would highly recommend Giant Sparrows to anyone! Personalized phone cases are such an amazing idea! I love my phone cover! WIN IT! One lucky reader will win a personalized phone cover of their own from Giant Sparrows! Visit Giant Sparrows, then come back and tell me what ideas you have for your personalized phone cover (photo, art, etc.)! Tweet about this giveaway! (Leave your Twitter name and a link) You can tweet this daily: “Giant Sparrows giveaway at Opinions of a Moody Mama #giveaway @coopersmommy @giantsparrows http://tinyurl.com/6r6mdrt "
I would definitely design a case with a picture of my kids! What a great product! I just got married and would love to put one of my wedding pics on a cover. I'd like a picture of my grandkids on it! I would want a picture with my husband on it! I would definitely love to put a picture of my son on the case! I would upload a picture of my husbands art. I would like to create my own, I have this wonderful picture of my son on a Merry Go Round that would make a great cover. I would use a photo of my sons to make a phone case. I would like to put my three kids on one! I would LOVE Van Gogh's Starry Night for my Blackberry!! I follow you on G+ (Kristin Wilkinson). Voted for you at Picket Fence!